Snow shoe walking is a winter activity that doesn’t require particular skills or knowledge but is increasingly attracting newcomers every year. Equipped with large racket-like snow shoes similar to North American Trapper footgear, you and your family can walk across fields of deep fallen snow in the fresh cold air and unspoiled natural beauty of the Alto Adige mountain region. There is no age limit and an introductory guided excursion is offered by the Tourist Information Office in Velturno. The Tourist Information Office in Velturno offer guided excursions in different Alpine regions 3 times a week from the end of December to March end. Free shuttle bus service to your vacation hotel is included. 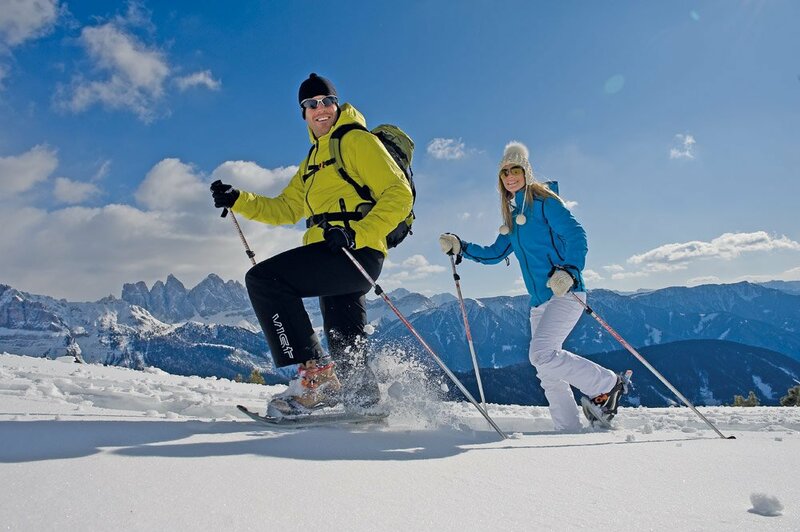 Enjoy snow shoeing undisturbed on snow covered mountain terrain across the nordic regions of Alto Adige in winter. 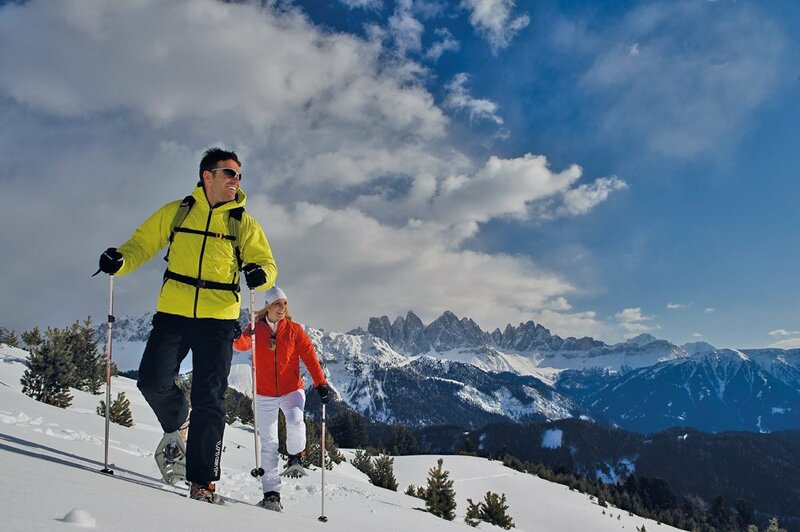 Guided snow shoeing tours to the Alpe di Villandro, the Alpe di Velturno and the Alpe di Siusi. A spectacular panoramic view of the summit of Dolomites and free shuttle bus service to your vacation hotel at day’s end are included.